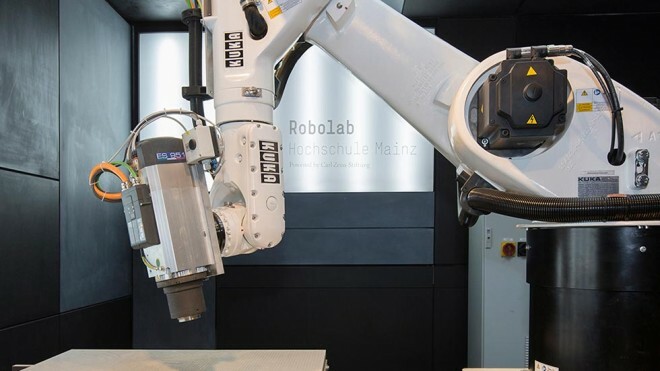 Robolab University Of Applied Science Mainz is an interdisciplinary lab powered by Carl Zeiss Stiftung. It consists of the area “surveying technology”, “digital fabrication” and “human machine interaction”. “Robolab digital fabrication” as part of Robolab is located at School Of Design Mainz, interior architecture. 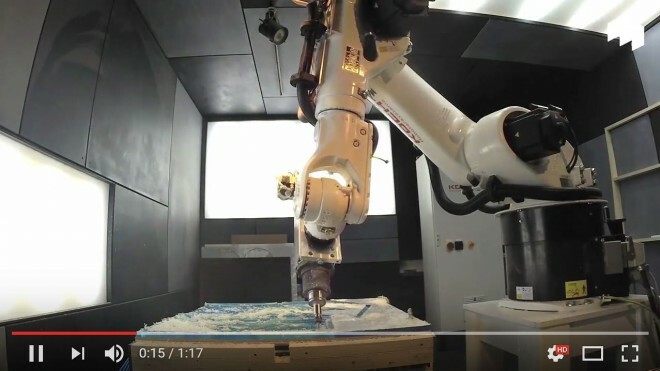 Focus of “Robolab digital fabrication” is to enable designers to create advanced individual design with a wide range of materials in an architectural scale. Right now it consist of an 6 axis milling robot with an additional 2 axis tiling rotary table and a vacuum table. Robolab Hochschule Mainz was officially opend on the May 5th 2017 by the minister of science Prof. Dr. Konrad Wolf and the management of Carl Zeiss Stiftung. Thanks a lot to everybody who made Robolab happen! Especially Head of Workshop Dipl. Ing. 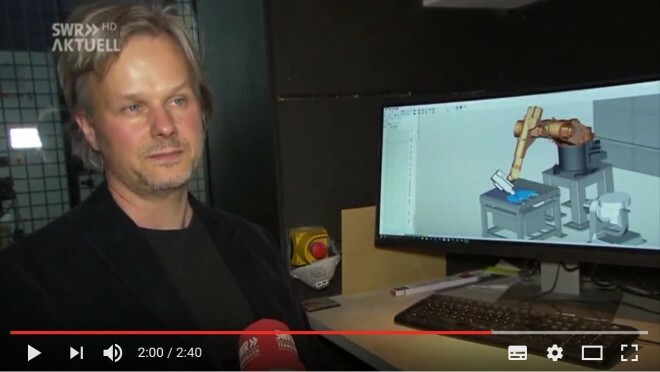 Mathias Ewald, our Assistent and Robolab-Expert MA. Sascha Urban, our staff and students for their amazing work and input!